TOKYO (AFP) – Tired of those unsightly smudges and other dirt on your bacteria-laden smartphone? 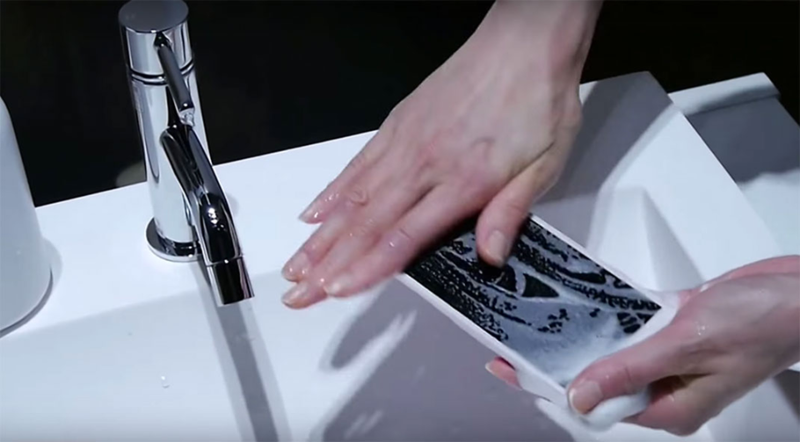 A Japanese firm has the solution with what it describes the world’s first smartphone that can be washed with soap and water. Waterproof smartphones have been on the market for a while. But telecom company KDDI’S new “Digno rafre” phone — launched in Japan in December — is the only one that can withstand a soapy bath. The 21,600 yen ($175) gadget is mainly aimed at parents who want to keep their smartphones clean for their small children, a KDDI spokesman said. But he also cautioned that only certain types of foamy soap could be used on the device, which will only be sold in Japan for now.